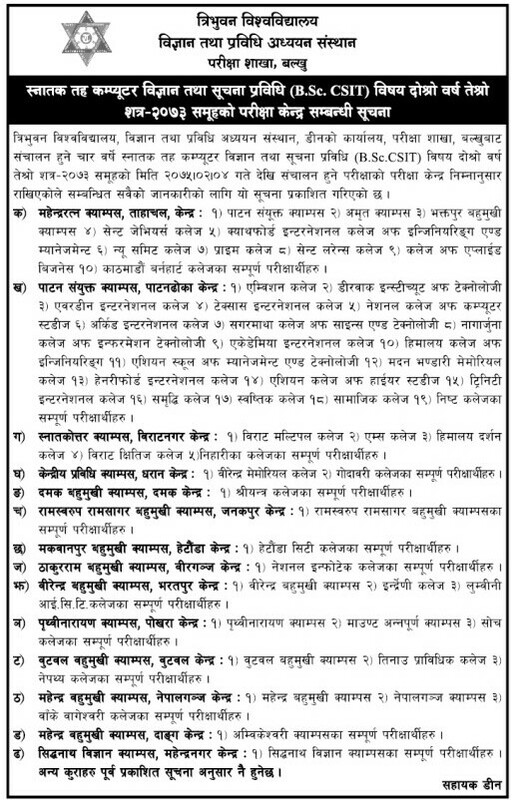 Tribhuvan University [TU], Institute of Science and Technology [IOST], Office of the Dean, Examination Department, Balkhu publishes a notice for the Examination Centers for upcoming B.Sc CSIT Second Year Third Semester 2073 Group. The Examination time starts from 12:00 pm to 3:00 pm. 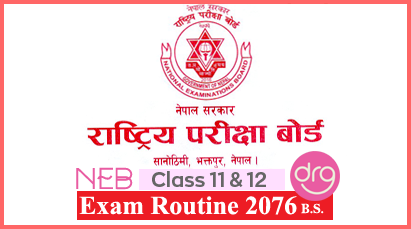 The examination start date is 4 Jestha, 2075 [18 May, 2018] and end date is 16 Jestha, 2075 [30 May, 2018]. See the notice image below - Examination Center for B.Sc. 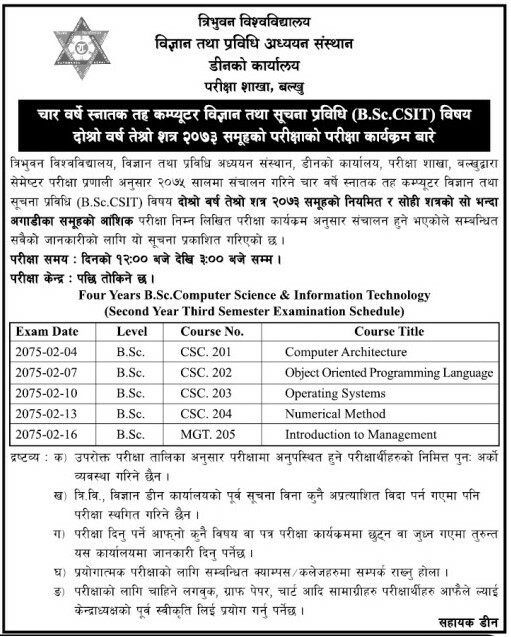 CSIT, 3rd Semester, 2nd Year, 2073 Group Published by TU. 0 Response to "Exam Centers For B.Sc. 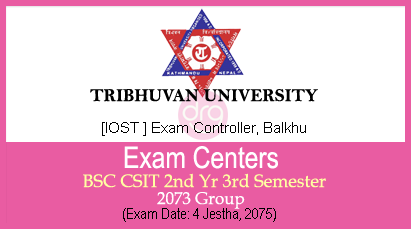 CSIT | 2nd Year | 3rd Semester | 2073 Group | TU | [Routine Added] "